The Revvy Shirt SS takes the classic summer look and feel of seersucker fabric, then updates it with technical performance and a cleaner style. Combining technical fibres with cotton, the Cavicus™ material has cool natural fibre comfort, but adds the durability and quick drying ability of nylon and polyester. The look is streamlined. The front snaps lie under a hidden placket, and the clean seams add a finished style. The trim fit lies close to the body, but is patterned for freedom of movement. 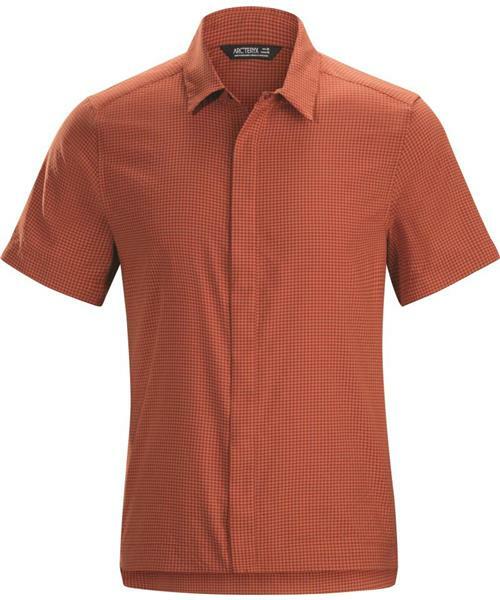 The result is a shirt that handles the heat, packs easily, and has a contemporary casual style that travels well.